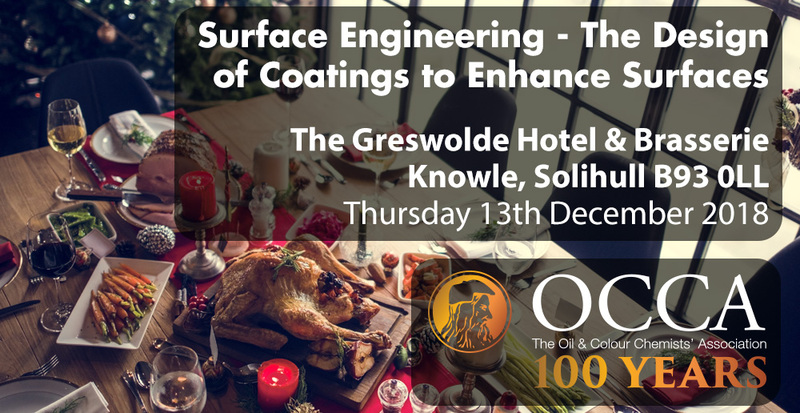 Please come and support our Christmas technical lecture "Surface Engineering - The Design of Coatings to Enhance Surfaces" by Richard Banks of Indestructible Paint. The lecture will be followed by a traditional 2 course Christmas dinner. Booking is essential for meal allocation purposes and please can all requests be in by Thursday 6th December as we need to give the venue 1 weeks’ notice for numbers. Please notify us of any dietary requirements.